We're a family-friendly, pet-friendly, non-smoking Motel in the heart of Port Townsend. You'll enjoy well-appointed accommodations, exceptional service, and an array of amenities to make your visit a most pleasurable and memorable one. An ideal location provides easy access to a beach; jogging and biking trails, shopping and dining options, Historic Port Townsend Downtown and the Ferry Terminal. 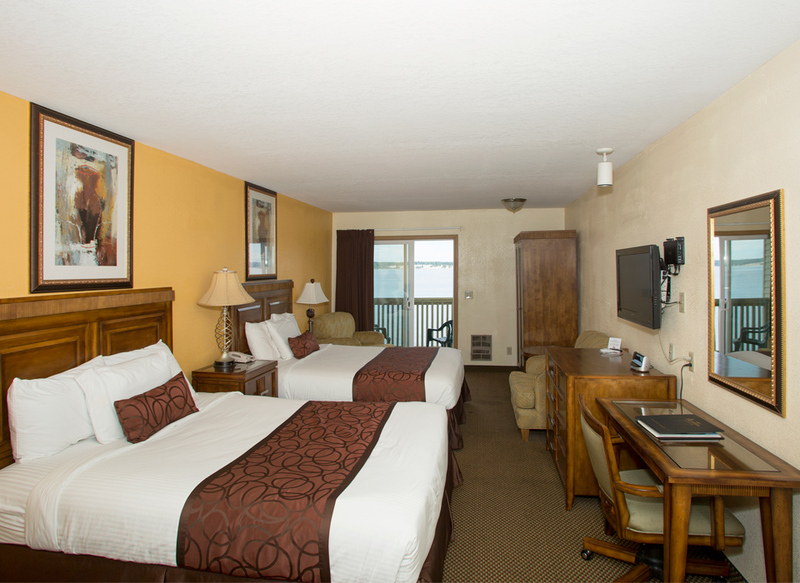 Just off State Route 20, we offer free parking on-site, guest laundry services and spacious rooms with free Wi-Fi. A microwave, fridge and coffee maker are provided in each room. The simply styled rooms also include cable TV and a work desk. Hairdryers are available for your convenience. When you're our guest, you'll always be within close proximity of fun things to do. Golf and Tennis Courts, Fort Worden State Park, Historic Downtown Port Townsend, and the Olympic Mountains. See the difference at Aladdin Motor Inn.